Following from accidents in his local community and a near miss experience, farmer Seán O’Brien is urging everyone to stand together in the battle against farm fatalities. 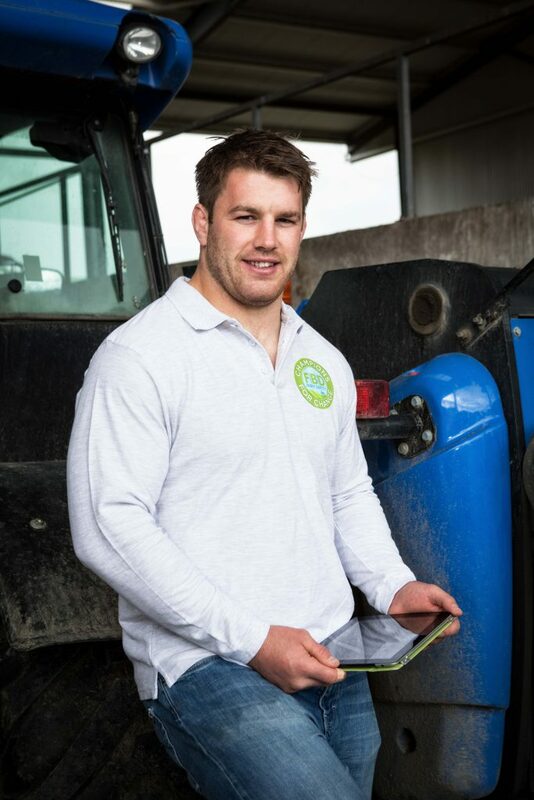 Ireland rugby star and farmer Seán O’Brien has urged farmers everywhere to stay vigilant and safe in a determined effort to tackle farm fatalities, injuries and accidents. O’Brien was speaking as he joined the FBD Champions for Change programme – a major national farm safety initiative. The programme is targeting an immediate reduction in farm-related deaths where 30 people including five children died in the farming sector last year, accounting for over half of all workplace fatalities in Ireland. Rather than ‘telling’ a farmer what to do or lecturing them on farm safety, the campaign is using digital technology to create a nationwide community of interest, discussion and support around the issues involved. The entire theme is one of inclusivity and everyone is encouraged to take part. Facebook and Twitter will play a big part in the initiative offering regular reminders, updates and tips. The campaign website and mobile apps have been optimised to engage with the 90% of younger farmers who are now using smartphones in their day-to-day work. Farmers can access loads of useful and constructive safety advice, videos and information. In a competitive element to the campaign, there’s also a county by county leader board which will record the number of sign-ups for Champions for Change in each county. “I’m asking everyone to join the Champions for Change movement and to dedicate themselves to safety on their farms throughout Ireland. This campaign isn’t about being told what to do. It’s about us as farmers taking the responsibility and keeping our farms safe,” he said. At the launch, Seán revealed that, as well accidents occurring in his local community, he too has experienced a near-miss on his family farm when his father had an accident during calving time and luckily survived the experience. Michael Berkery, FBD Chairman said the campaign brings farmers together as a community who are committed to eliminating risks for themselves, their families and their communities. FBD also recently distributed 20,000 farm safety packs to farms through the main dairy processing co-operatives including safety booklets, HSA Survivor Stories DVD and a Safe Quad Skills and Operation DVD, aimed at reminding farmers, and particularly dairy farmers, of the dangers involved in their daily activities.